OMG could these cable labels be any cuter? Or more useful? 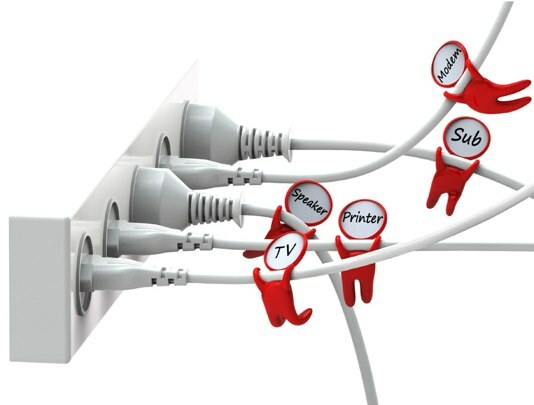 These little clips are meant to hang from your computer cables to help you identify them with a quick glance. I want to figure out other uses too so I can have them all over my office but so far, i got nuthin, since they have to hang from underneath... thoughts?